I sensed the leading to again expose another mistaken idea inflicted onto the Body of Christ. This mistaken idea has gained a stronghold in the minds of most of the family of God. This idea may be hard to shake off. Just focus on Jesus and seek His wisdom if you have a hard time receiving this. Let me begin by sharing how I saw this truth from the Scriptures. I was sharing with a friend some answers to religious objections concerning eternal security. I also shared how some miss it in explaining eternal security. As so often with tradition-bound believers, they tend to muddy the proverbial waters with a mixture of performance and Grace. Meaning when some teach about eternal security, they tend to "apologize" for Grace and are quick to point out they still believe in some form of performance or works associated with a Christian's walk. They say well Jesus said we will be known for our fruits. 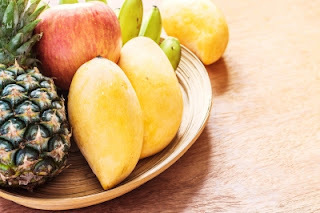 As we discussed this issue about fruits suddenly, in my heart, the Lord shined the light on that Scripture to me in its full context and on who He was referencing. I had never seen it before. It instantly brought clarity and true freedom. You shall know them by their fruit? The traditions passed down based on a misunderstanding of this passage is the basis for this mistaken idea. The mistaken idea is that this is referencing Christians and addressing their walk with the Lord. That it's referring to a person's salvation. That it's talking about a believer's behavior. The idea that a believer will be known for their fruits is a sentiment and message taught by so many throughout the Body of Christ. Think of it. Where is the focus then? This is the real issue the Church struggles with. Our eyes are not on Jesus but focused and set upon each other. We are focused on other's growth, development and walk. Our focus should always be on Jesus Christ. When we get our eyes set on another believer we can't see the Savior in them. We begin to look at their failures and shortcomings. Most often when we do this, we unwittingly begin to see the areas of their failures and struggles that we have already overcome and no longer face temptation. We then begin to see ourselves as morally and spiritually superior to them. Aren't Christians called to be "fruit inspectors"? This concept is built upon the faulty premise that Christians are only known for their "fruit" or rather some outward behavior. I know this concept cuts cross grain to all we've been taught. The truth is This passage isn't addressing a Christian's walk or relationship in any way shape or form. What then is this passage in Matthew addressing? Look at this passage in full context, here. Let's look at who Jesus is referencing. In Matthew 7 Jesus is clearly referencing false teachers and false prophets. He says you will know them by the fruit. How is this fruit observed? By their actions? No, it is by the words they speak. He also uses the illustration of trees. Think of it, would you go crawl around a briar patch looking for sustenance? No! Why? It doesn't produce any fruit and all it would leave you is being stuck, scratched up, and in pain. This is what Jesus is saying. If you go look for spiritual refreshment and sustenance from a false source all you will get is pain and misery. False teachers lead people astray and so many suffer as the result. Are we to be fruit inspectors then? We aren't called to be fruit inspectors. That isn't what Jesus said. What He really said is we are to be spiritually aware. We are called to be fruit observers. The fruit we are to told to look at isn't about behavior in a person's life but rather what they are teaching. In other words, we look at a teaching and see the results of it in people's lives. Are they experiencing joy? Are they experiencing peace and restoration? Is it exalting Jesus and Him alone? What about Christian fruitful living? Am I saying there is no such thing as fruit bearing as a believer? I am glad you asked for clarity. The truth is this passage misunderstood and misapplied is the mistaken idea we need to remove from our understanding. Get this, see and understand this. This passage and the statement "you will know them by their fruits" isn't a reference to Christian's and how they live. It isn't a condition of our eternal salvation. Jesus is our Savior, not our behavior. Our conduct didn't cause God to save us and it won't cause God to remove us from the Family. So what about Christian fruitful living? Paul makes it clear the origin of fruitful living. These are the fruits of the Spirit. Our efforts, or performance or moral excellency didn't produce them. These are the fruits of God's Spirit recreating our spirit and depositing them within us. Note it doesn't say you will be known by these fruits. These fruits are not just attributes of our spirit but our true identity in Christ. We don't work hard enough to possess love or joy or peace. It is part of who we are now in Christ Jesus. It is God's best that we exude these fruit wherever we go. It is most profitable to express these fruits daily. Are we then to be known by these fruits? Didn't Jesus say we would be known by our love? What if we aren't bearing fruit? Jesus did say we would be known for our love. The issue is people take passages like this out of their full setting in Scripture. The Scriptures always reveal our identity in Christ first, and reaffirm our security in Him and that this salvation isn't based on us or our doings before it lays out the "behavior" or growing in Christ passages. These passages are showing our relationship, growth, and discipleship in Christ, not the root of our salvation. We don't just look at a person's fruit to determine if they are saved. Sometimes we encounter people at their worst. What if we woke you up at 4 AM and took your picture? "Bedhead", bad breath, barely awake, would this be a total picture of who you are? Why then do we look at fellow believers and judge their eternal destiny based on some encounter we had with them? What if we aren't bearing fruit? Some mistake Jesus words in John 15 as preaching loss of salvation. The translators didn't seem to understand the literal Greek in verse 2, for it doesn't say "take away" it literally says "lifts up". Jesus wasn't saying the fruitless branch is removed and sent to Hell. What He said was He lifts up the fruitless branch. In other words, Grace will pick you up when you fail or falter and draw you closer to your Savior. When you're connected to the Savior you can't help but bear His fruit. This passage then clearly isn't referencing the loss of salvation. Understand once you're saved you're in Christ forever. In summation, the concept that some will be known by their fruit isn't a reference concerning a Christian's conduct or behavior patterns or relationship with God. It isn't a litmus test for us to stay saved. It isn't an encouragement for the Church to begin striving to achieve fruitful living. It was an admonition to steer clear of false teachers and their teachings. Want to grow in Christ? Be fruitful? Focus on Jesus, find out who you are in Him, continually acknowledge your new identity in Christ, and walk out who you already are in Him.